Mr. Russoniello graduated from Villanova University and Seton Hall Law School. He is admitted to practice law in New Jersey and the United States District Court for the District of New Jersey. Mr. Russoniello was the law clerk for the Honorable F. Michael Caruso in the Superior Court of New Jersey, Essex County. 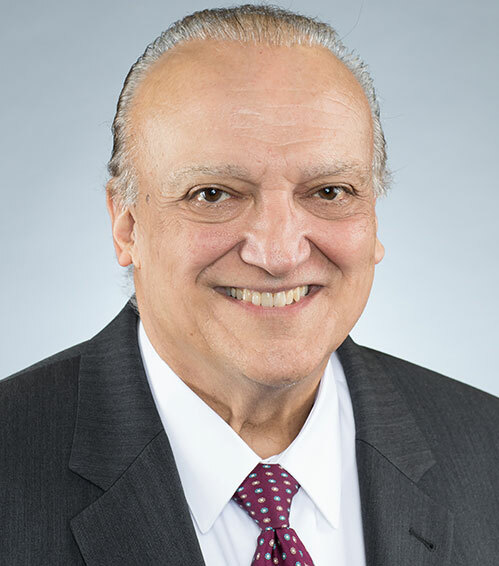 Mr. Russoniello practiced law as a sole proprietor for over thirty five years before joining the firm of Caruso Smith Picini in 2011. As a sole proprietor, Mr. Russoniello handled most areas of the law from Criminal Defense to Real Estate Closings. Mr. Russoniello received the General Practitioner Achievement from the Essex County Bar Association in 2003. He eventually specialized in Land Use, Zoning and Planning, cases where he has represented many major developers and corporations such as Exxon, Pizza Hut, and U-Haul. He has also been counsel to Zoning and Planning Boards in Orange, Irvington, and Belleville, New Jersey.